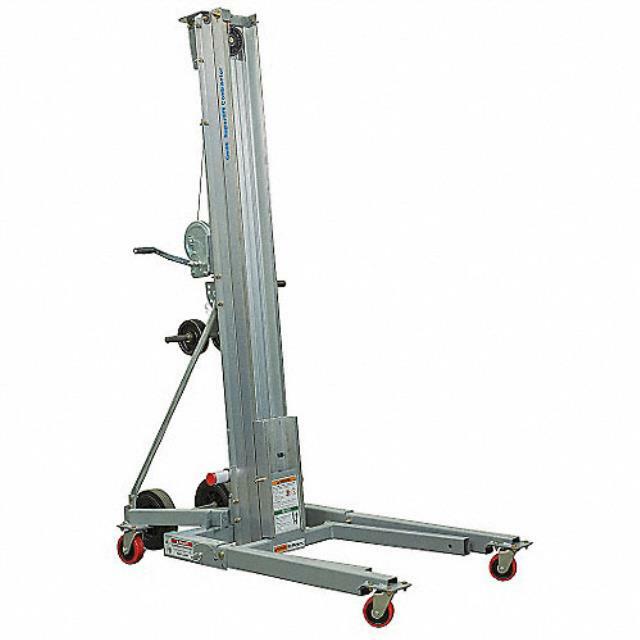 The material lift is an ideal tool for construction firms and every kind of contractor. It has a heavy duty design, yet it is lightweight and portable. The quick setup requires no tools and it loads easily into a pickup truck for transporting. Available in 12', 18', or 24' heights. Click here for the Genie SLC 12 operator's manual.